Ron May “KNOWS” home construction due to his vast knowledge and experience gained in over 15 years as a Custom Home builder in the DFW Metroplex. 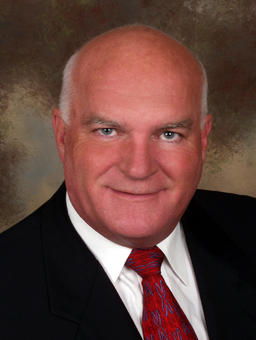 Ron May “KNOWS” education due to his vast knowledge and experience gained in serving as an elected Trustee for 12 years on the Hurst Euless Bedford Independent School District Board of Trustees, five of which were as President and 4 years on the State Level as a Director of the Texas Association of School boards. Ron May “KNOWS” people and listens to their needs and dreams and as a Native Texan. A resident of the DFW Metroplex for over 35 years he values your future by partnering with you and your family to make the appropriate decisions. The quality of location, educational opportunities and the construction of the home within your budget you choose to plant your roots and raise your family. I want to do more than just sell you a house or stick a sign in your yard. I want a chance to demonstrate my integrity and earn your trust and confidence which will lead to me becoming your family and friends Realtor for life. Without Ron May, I would not be a homeowner. I first interacted with Ron about 8 years ago. Ron and I looked at dozens and dozens of properties at the time. I even went under contract a couple of times. At the time I thought I was ready to purchase, but eventually came to the realization that I was not. A few months back I reached out to Ron. Something felt different this time, and I felt more confident that I was ready to make the leap. My first step in the journey started out with a phone call to Ron. In all sincerity, I wasn’t even sure if he would accept my call. I was worried that he might think of me as someone who had previously wasted his time. He most certainly would have had every right. I could not have been more wrong. Ron not only answered my call, but did so enthusiastically. Any trepidation I had, passed after he said “hello”. Looking back it was silly to think he wouldn’t answer, this was Ron May, of course he was going to answer. Ron helped me get back to looking and the minute the perfect home hit the market, we pounced on it. Every time I asked a question (in hindsight I now realize how stupid most of them were), Ron patiently walked me through it and provided me with thoughtful and thorough answers. Not once in the years and years we spent looking did Ron ever pressure me (even if he probably should have). I still can’t believe how fortunate I am to have had Ron May as my realtor. I truly believe most any other realtor would have cast me off, and rightfully so. Ron still answered my call the same way he did 8 years ago, and because he did, I am a homeowner. Candice and I feel extremely blessed to have been fortunate enough to windup in your care for our first house hunting and purchase experience. Your friendly and professional advice has been so very appreciated! I just wanted to take a moment to thank you for all of the help and guidance that you provided. It has been difficult for us to manage all of Pop’s business affairs from across town, especially anything to do with the house. You helped make that burden easier. We (Pop, Tom, and myself, feel that a great weight has been lifted from our shoulders. I feel that we could not have come through this as successfully as we did without your help. Thank you, again. Todd and I just wanted to write and say THANK YOu so much for referring us to Ron May. He was absolutely WONDERFUL and we couldn’t have asked for more. He was so nice to work with – never once complained when we took him down EVERY country road in East Texas, was more than willing to take the time to answer any questions we had, was respectful, professional and we feel he went above and beyond what any realtor has ever done for us. We are so thankful that he was there to help us find our home. We really appreciate all of his help.